I love true stories about our relationship with birds and animals. So here’s a lovely article by Steve Pavlina. I have reproduced it here for you because it has a message of human – animal relationships. Or in this case a human – bird relationship that is very dear to my own heart. It’s the type of thing that given the chance I would have loved to have done myself. 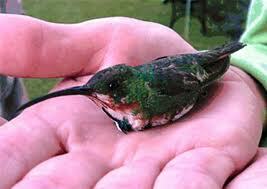 But having no humming birds in our neck of the woods it is virtually impossible! Still it has a lovely message that I’m sure will resonate with you as a reader of Relationship World. I usually see hummingbirds every day when I’m at home. I don’t have any bird feeders, but the birds love to hang out in my backyard or buzz around my office window. Sometimes I’ll see several of them hovering nearby. Lately I’ve been wanting to see if I could actually touch one… not in an aggressive way but by keeping myself in a very pure-of-heart state and inviting them to connect. They can dart around very quickly, so if they don’t want me to touch them, there’s no way I’d be able to. About a week ago, one was flying in circles around my head about 12 inches from my face, but that’s the closest she came. I was trying to get her to land on my finger, but I wasn’t even sure if that would work. Hummingbirds have such little feet that they seem to like perching on the thinnest twigs, and my finger might be hard for them to grip (without injuring me, that is). Then yesterday I was finally able to pet one for the first time. A friend stumbled upon a hummingbird sitting cozily in her nest in a tree, just a few feet from my backdoor and right at our eye-level. I’d never seen that nest before. It was a tiny nest, just big enough for the hummingbird to sit in it with her head and beak hanging out on one side and her tail feathers hanging out the other side. I said hello to the hummingbird and asked if I could pet her. She didn’t say no, so I figured she was okay with it. She seemed very content as I gently ran my fingers along her back. Then after a minute or two, she flew up and hovered around the nest, as if to invite us to take a closer look. When we looked in the nest, we saw that it contained two tiny eggs. We were both adorified. I smiled and told the hummingbird there’s no need to worry and that her eggs were safe. This morning I went out to see if she was still there. It’s very windy out, so I wasn’t sure if she’d be in the nest. Sure enough, she’s still there, presumably keeping her eggs warm. I pet her again, and as soon as I did so, she opened her beak as if to say hi. I’ve never been able to pet a hummingbird before, so I think it’s really cool that this intention was able to manifest. It only took a few weeks between setting the intention and seeing it manifest. To me this experience also has a special symbolic, dream-like meaning. Lately I’ve been feeling super happy and joyful; everything in my life is flowing beautifully. I’ve also been eating 100% raw for the past 2 weeks, which often leaves me feeling blissful. Hummingbirds are a symbol of joy, so symbolically it’s like I was able to touch joy directly instead of just having it circulate around me. I don’t know if this post will hold any meaning for you, but it was a happy experience I wanted to share. Hummingbirds are really cute. Now wasn’t that lovely? If you have any stories about relationships with birds please share them with us. Stories like this are good for the soul and we can all do with them! 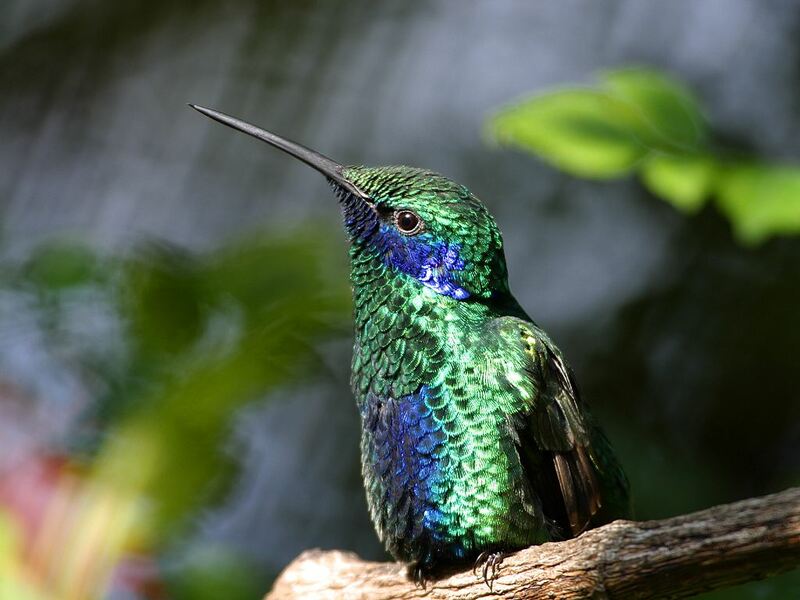 This entry was posted in Our Connection with Animals, Relationship with Nature and tagged for the love of a bird, hummingbird eggs, hummingbirds, our relationship with birds by Sandra. Bookmark the permalink.